Come into your next championship season prepared! 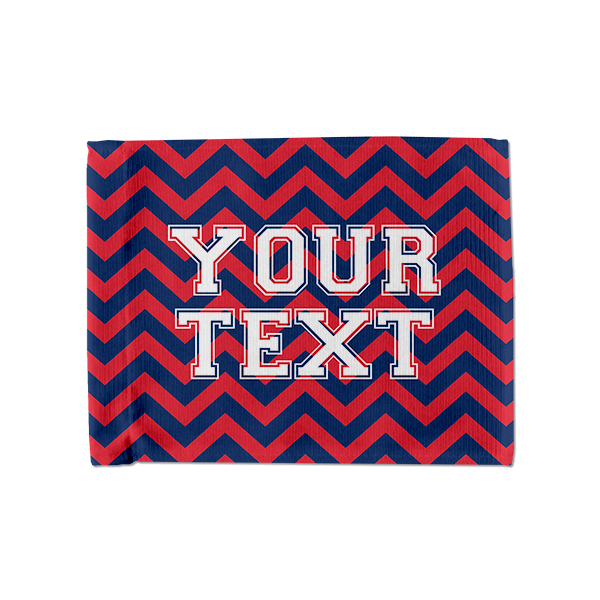 This GU Zags inspired Navy and Red Chevron Car Flag is spacious enough for two lines of your own custom text. Be prepared football season with this spirited accessory! Whether its game day or just another regular day, you can show your Spokane home team pride with this Zags colored chevron car flag. 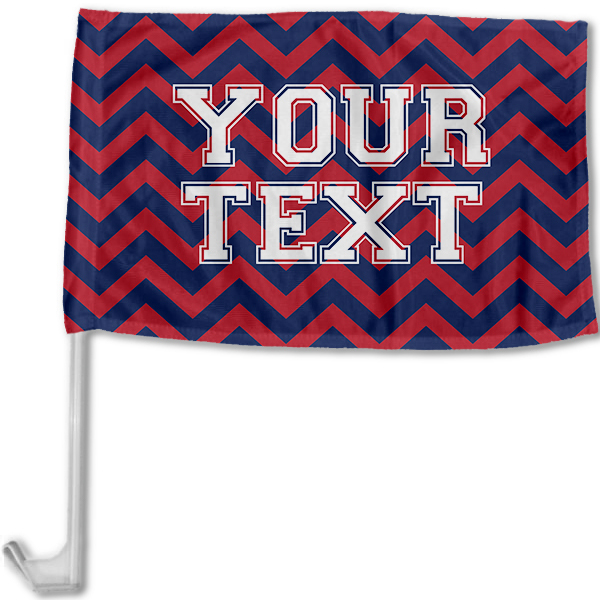 Personalize your two lines of text with anything you want- your favorite player's jersey number, your family name and date established, graduation dates, to name a few- and roll up to tailgate with this season's must-have accessory.